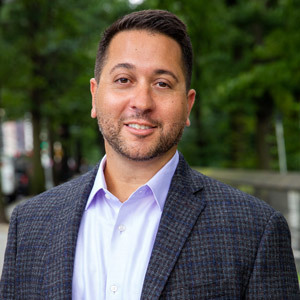 A top-producing Manhattan real estate expert, John Carapella has earned many industry awards since entering the field in 2003. He's also continually won clients over with his approachable and sincere personality, strong product knowledge, and highly professional behavior. John is driven by the belief that where you live is a catalyst to how you live. With that, he helps buyers focus on a neighborhood that will encourage and support both who they are as individuals and the lifestyle they desire. He has a natural ability to understand and identify with his customers' unique needs, and generous patience in seeing them through the entire process to their ultimate success. 'I'm one of seven children. Growing up I learned the importance of staying humble and respecting other's needs and differences. That's a common trait that's been embedded in my siblings and I, and something we take pride in.' Recognizing that integrity and honesty are the key to successful relationships, John respects his buyers' and sellers' needs, and puts their interests first, even if that means walking away from a deal to pursue something better. He also draws on his vast market knowledge and expert negotiating skills to hone in on the most emotionally and financially rewarding outcome in the end. Sellers benefit from John's marketing ingenuity and customized approach to maximizing exposure for their listings. This has led to him attaining record sales prices, and to being recognized in numerous publications. As a condominium specialist, John has also advised investors and developers who rely on his keen eye for value and potential. In his career, John has fully embraced how the web has brought essential real estate information to the masses and helped to make the market more transparent for the customer. "My customers value my insight in terms of deciphering and properly interpreting the info available to them. You have to peel back the layers of information and respect the supply and demand for a particular property before you begin to establish value and potential'. Previously, John worked in different areas of management and sales, but always excelled in customer service. He is a native New Yorker with a degree in Marketing. Outside of work, John enjoys time with his wife and two children. He's also a former collegiate baseball player who enjoys playing softball and golf. John has additionally volunteered and coached various local youth baseball teams.